Price: - I brought it in Rs.215/- now the price has been raised. The 1st Lipstick Collection Created by Kate Moss Rimmel London Lasting Finish By Kate Moss is high intensity colour for up to 8 hours. Formula infused with Black Diamonds, reflects light like never before. Captues all the flair, edge and timelessness of Kate's unique look. Kate has made her mark on this collection in every last detail. The chic matte black pack has captured her staple rock'n'roll fashion. Her runway know-how teamed with red carpet experience and in-studio spotlight are all energized into creating the perfect lipstick shades. And only at this point does she seal each with her signature. The lipstick comes in 5 shades I guess among which everybody can find out her own choice. The lipstick comes in a lovely black, sleek sturdy case. The lipstick case has a printed signature of Kate Moss that add classy to the case, along with the crown figure at the top of the case help you to easily find out the lipstick among the stash. In the below the number of the lipstick is printed in the same color of the lipstick giving the hint of the color in the case. I specially love this feature as it will help you easily decide the color you are looking for when you are in hurry! There was a craze when Rimmel was first launched in India and are found on slassy.com website. I brought this beauty simply by the attraction of the name given to it “Kate Moss Lipstick”, the second thing that convince me to buy it is the claimation of the lipstick being matte in finish. I won’t say the craze for Kate Moss Rimmel lipstick is over as people are still looking for these lipsticks and I found myself really lucky getting my hands in it when the price was really low. So it was a steal! Anyways now coming to the lipstick, the lipstick is warm brown in color, which shows neutral brown in my lips. The shade is just ideal for daily wear and for office wear too. The lipstick is cream in texture so glides very smoothly on to lips and after few minutes it turns into matte one which I just love! Love! Love! The lipstick stays pretty 5+ hours on my lips and can survive small meal but after large meal it leaves a lovely tint of brown which is also nice in other way still I do reapplication of lipstick after having meal. 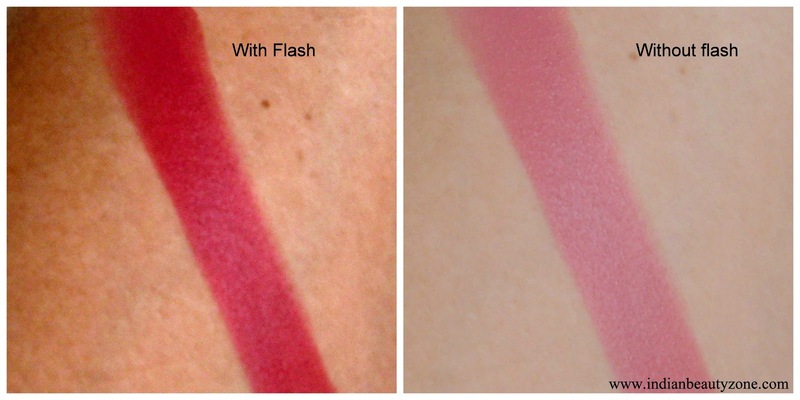 It is transferable but 1-2 swipes are just enough to give opaque coverage and to hide pigmented lips too. See you in my next post, till then Stay beautiful !!! Even though it does not stay well, i think i'll still buy it..
Oh my Samannita. This shade is lookin awesome on ur lips. Loved the pics! Lovely review & lovely LOTD. very pretty shade dear....i have this one n totally loved it.. I have been meaning to try this one! great review. I so wanna try this lipstick! 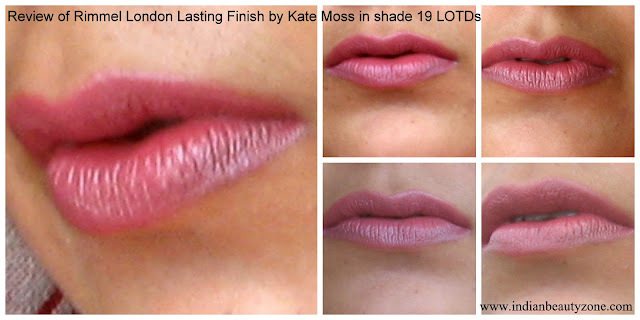 This looks great, I love the Kate Moss lippies! Been using 107 (dark red) and 111 (coral) recently, they are both beautiful! Must keep an eye out for this shade!